The accommodation options for each of our chauffeur-drive tours are completely flexible so you can choose to stay in B&Bs, 3* Hotels, 4* Hotels/Manor House or even a combination of all of these. 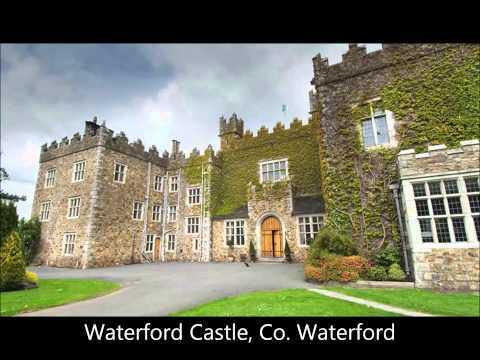 We can also include a castle stay in some of our packages on request. You can rest assured that we only put you up in the very best accommodation so even our 3* Hotels are of the very highest standard available. Below you'll find examples of the type of accommodation you could be staying at taken from actual overnights locations in this Ancient Ireland Tour. Number Forty Eight is a luxurious B&B that offers accommodation fit for a king. This victorian styled house is located within walking distance to Cork city centre, where you can enjoy all of the cities fantastic shops and excellent restaurants. This property has six gracious ensuite bedrooms, which have been tastefully designed to offer comfort, space and privacy. Run by local Waterville hotel family, the Huggards (5th generation of hoteliers), both Paula and Louise bring their highly professional style to this property, making it one of the most renowned hotels in Waterville. With 36 elegantly decorated guest rooms, a popular fine dining Kerry restaurant and welcoming bar - this Waterville hotel attracts guests from around the world with its uniquely warm Irish welcome, luxurious facilities and wonderfully scenic location in the heart of Waterville.